Recorded as far back as the 14th century AD, and having gained prominence through the 18th and 19th centuries, the rhyme is thought to have originally alluded to a dubious fair-day side-show, as a pedagogic, folkloric tale about gossip and innuendo. As I reviewed the notes of my meeting with Poplar Grove Winery’s executive winemaker (Stefan Arnason, a former brewer), and his right-hand woman (assistant winemaker and former bio-psychologist, Natasha Ponich), this long-forgotten rhyme sprang to mind. At the risk of offending said interviewees and their esteemed colleagues at Poplar Grove, I must admit that it was simply the pleasing alliteration of Stefan and Natasha’s former careers that provided a hook for the rhyme. As far as my notes are concerned, the only knaves I can spot are those who would be foolish enough to doubt this winery’s meteoric capacity for growth. 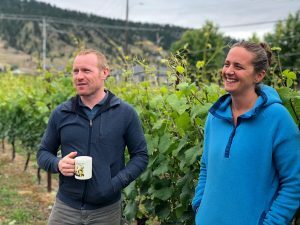 Founded initially in 1993 as one of the first five wineries on British Columbia’s esteemed Naramata Bench, Poplar Grove was purchased in 2007 by medical doctor and pharmaceutical success story Tony Holler, and his wife Barbara. Now managed (on the viticultural side) by their sons, Chris, Andrew, Matthew and Eric, Poplar Grove has grown exponentially since the Holler acquisition. 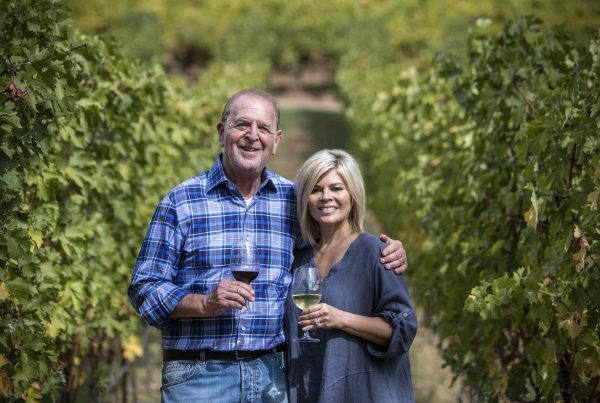 Once a boutique operation producing only 10-15,000 cases per year, the winery has seen significant investment from the Holler family, and now produces approximately 35,000 cases a year, with their sights set on moving into the 50-75,000 range in the near future. 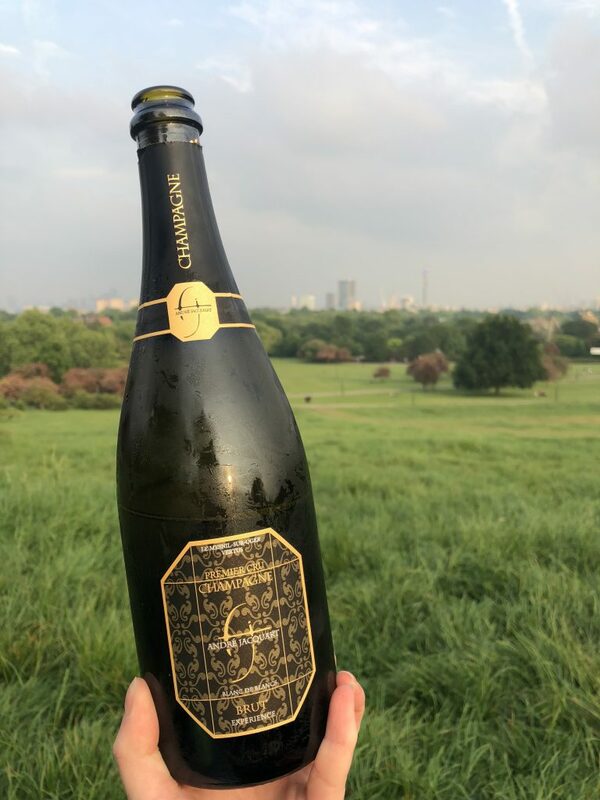 The brand also boasts a secondary label, Monster Vineyards, which opened in 2006 as the ‘friendly, young, funky’ offshoot to Poplar’s more traditional brand. There is no doubt that Poplar Grove’s current success is correlated in large part to former brewer Stefan’s arrival in 2008, and ultimately his transition to head winemaker from 2010. 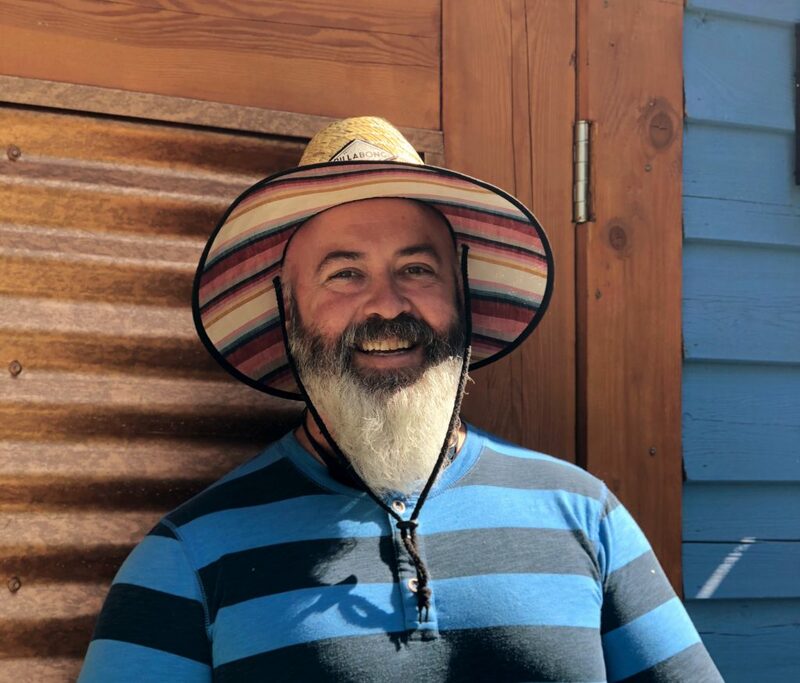 A graduate of the British Columbia Institute of Technology’s food technology programme, Stefan always had his sights set on winemaking (a passion he attributes to his family’s Icelandic tradition of making dandelion wine). However, Stefan’s stint in the brewery business has left indelible (and useful) marks on his thought process when it comes to making wine. 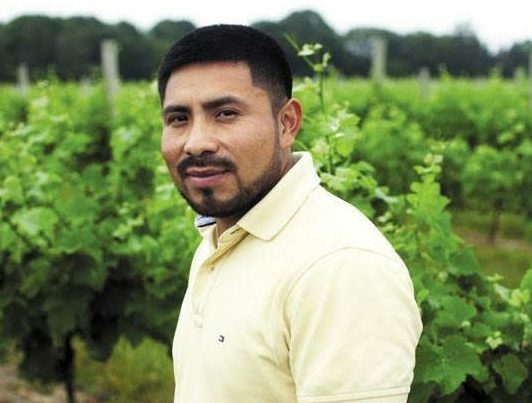 Though Stefan acknowledges that this isn’t currently an issue for Poplar Grove, it is a concern that he is keeping his keenly trained eyes on, and advocating against as the winery looks toward further growth. 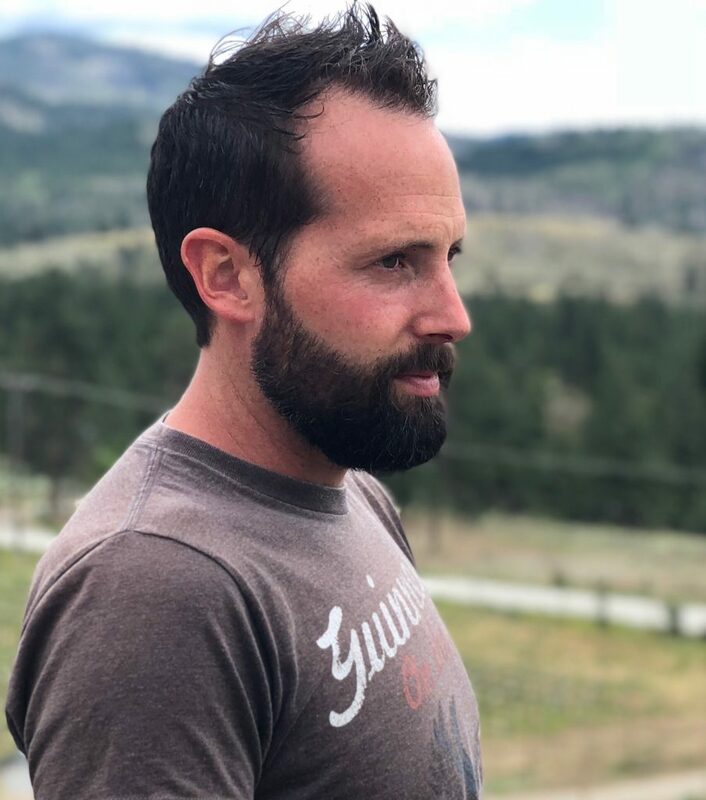 A fan of specific varietals and individual vineyard sites, Stefan would like to see more of a focus on Pinot Gris and Cabernet Franc, and a push towards purchasing land and using more estate-only fruit. 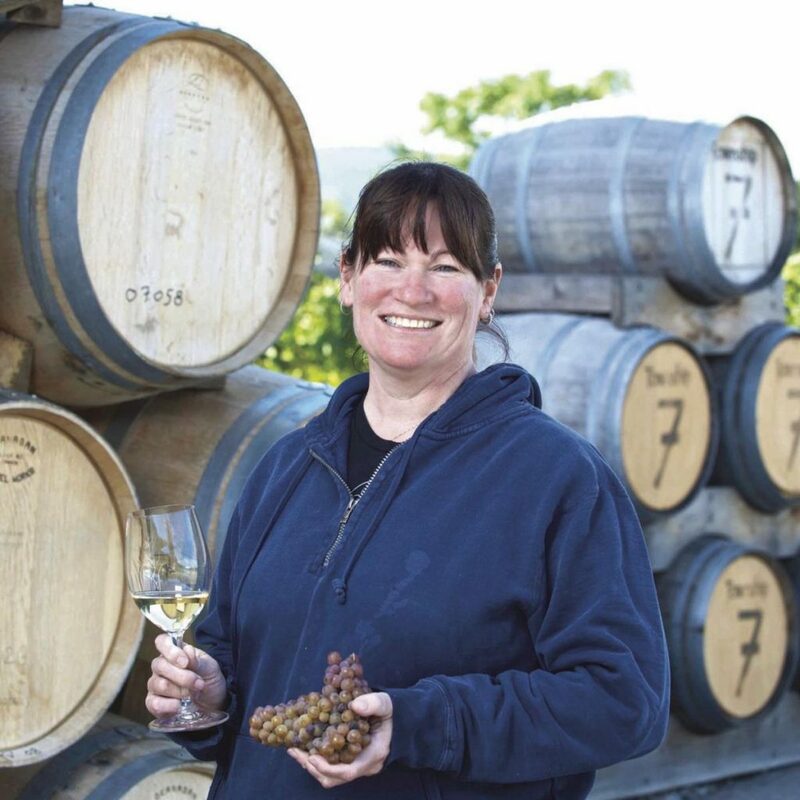 It’s perhaps also worth noting that Natasha’s arrival in 2014 coincided with the first major doubling of the winery’s production. “That was a really big year where [we] went from 260 tonnes to 400 tonnes [of fruit],” says Natasha. “But to me I was like, whatever! 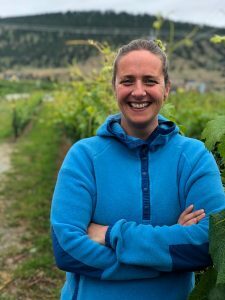 I was probably the calmest out of everybody, just because I knew it was going to be a massive challenge.” Coming from a boutique winery in the Comox Valley on Vancouver Island (a marginal climate in the best of years), which produced at it’s zenith only 1800 cases, Natasha knew she was diving into the metaphoric deep end of winemaking when she accepted the post at Poplar Grove. 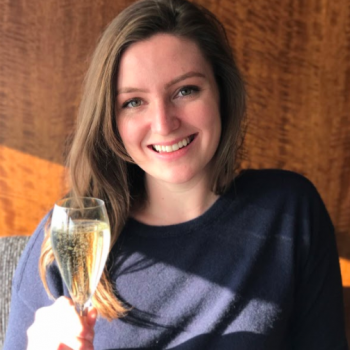 To an outside observer, Natasha’s background in bio-psychology clearly played a role in her adaptability, quick grasp of winery lab work, and her willingness to take on a new challenge. “My grandparents were farmers,” Natasha starts, “we grew up on a small farm, I rode horses, competitively, and so I just grew up growing things. I went to university, got sidetracked by psychology — actually I got sidetracked by biology, realised there was way too much intense chemistry in it, so I then veered off and I merged the two. And so I worked in labs for a really long time and was like: ‘ this is not for me,’ which is you know, ironic, because I now spend a majority of my time in a lab…Now I work with cellar rats, but not like, you know, actual rats,” she chuckles. The 2018 vintage was no exception, with Natasha leading on the whites, and Stefan organising the operation writ large. 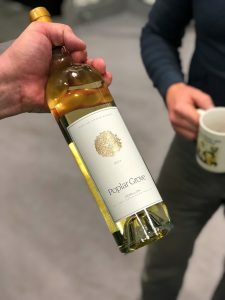 With the release of the whites on the horizon this spring, it remains to be seen what the brewer and the bio-psychologist will have achieved together since I tasted their 2017 vintage of the Pinot Gris: a softly aromatic, melony and honied version of the varietal, with a bit of residual sugar and excellent balance. 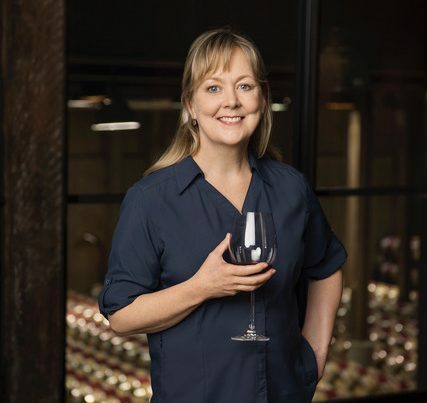 It will also be interesting to see whether 2019 will be the year that Poplar Grove (and Monster Vineyards) take another leap towards the metaphorical winemaking stratosphere. And in order to achieve this change, will the owners invest in growing more estate fruit, as per Stefan’s preference? Will the winery hone in on Pinot Gris and Cabernet Franc as their key varietals? And what will become of Monster Vineyards as Poplar Grove refines its style? Whatever the answers to these questions may be, it’s certain that the brewer and the bio-psychologist will continue to be key to the success of this operation. And as for the missing baker? Perhaps one of the Holler brothers will emerge as the key ingredient to help leaven the operation to even greater heights. “Rub-a-dub-dub,” Wikipedia, https://en.m.wikipedia.org/wiki/Rub-a-dub-dub, accessed 28/01/2019.